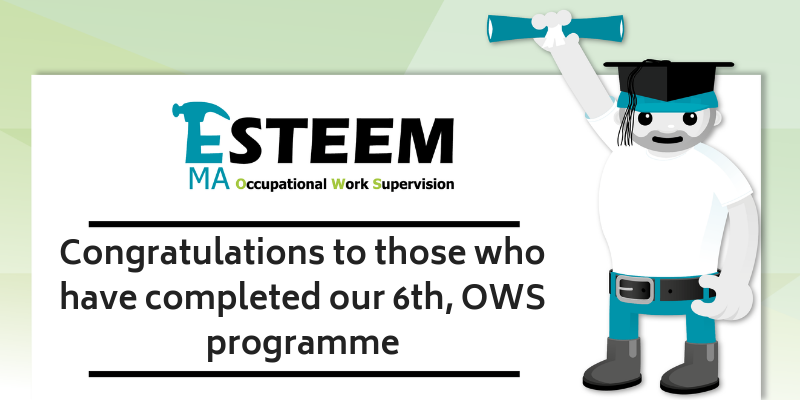 Another great milestone for the Esteem team as we celebrate our candidates success as they complete our 6th, SVQ Level 3, Occupational Work Supervision programme. Last week, we celebrated with the 20 candidates on our 6th Occupational Work Supervision programme as they completed our programme. Over the past few months they have all been working hard to balance work with their SVQ Level 3. However, it has all paid of as they are one step closer to achieving their SVQ Level 3 and CSCS Gold Card. 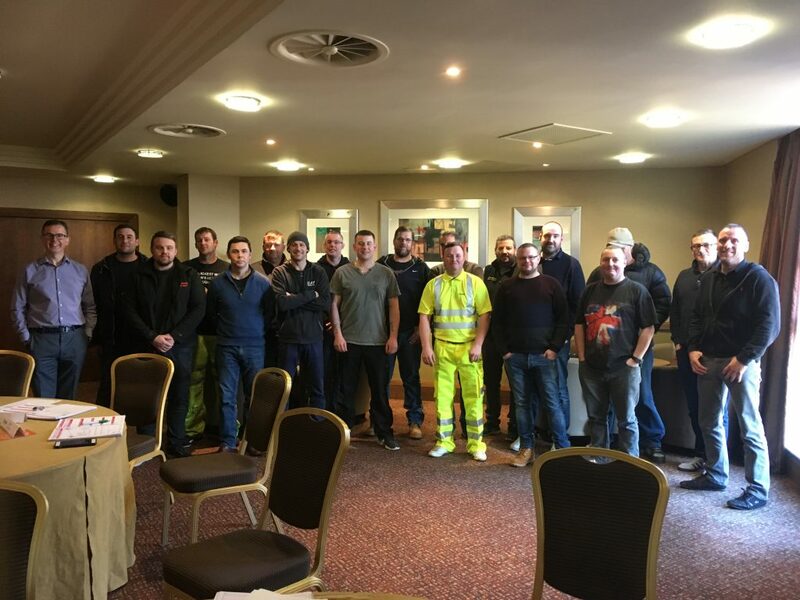 The candidates came from a variety of different companies including AMCO Giffen, AGM Group, Chas Smith, Farrans Construction, George Leslie, Hillhouse group, JGM, Morris and Spottiswood, P&M Sinclair, Tarmac and GL Floors. Our Modern Apprenticeship, OWS programme is a unique training programme ahead of the crowd! It involves candidates attending 4 half day developmental workshops which makes learning both simple and enjoyable. A handful of 1:1 sessions with an assessor and an on-site visit. These sessions are designed to ensure that candidates are supported throughout their SVQ and developmental journey with Esteem. Staff are very helpful and take time to go through topics and explain in depth to make learning much easier. Facilities are also excellent. Overall, a very enjoyable experience and one of the best courses I’ve attended. Everyone at Esteem has thoroughly enjoyed getting to know all the candidates. We are thrilled that they enjoyed the programme and have found it beneficial for their own development. One of our aims is to switch people on to learning and to encourage CPD. With this, it was even more excellent to hear that many of the candidates want to progress onto our SVQ Level 4, Construction Site Management programme. If you would like to release your teams potential and get them a recognised construction qualification and CSCS Gold Card then please contact Andy today (andy@esteem.uk.com 07766658083). Do not delay as spaces do go quick!